Over the next two months, high school seniors will find out which colleges on their wish lists came through with acceptances. But the tensions won’t end when the admission letters arrive. As paying the bill for a four-year degree becomes a reality, families will struggle to understand why higher education is so expensive and how they are going to afford it. Complaints that college fees are too high often reflect confusion over the difference between the cost of higher education and its price to students. Cost is a function of salaries for faculty and staff and the infrastructure expenses required to educate students. Price refers to tuition. Most people don’t realize it, but the cost of educating a student has been restrained. According to the Higher Education Price Index between 2002 and 2014, college costs rose annually at a rate only about three-quarters of a percent higher than the consumer price index. Expenditure per student fell in many states. Overall at the University of California, expenditure per student has fallen by more than 20% since 1991 while tuition has risen (UC proposes to raise it again for the 2017-18 school year). Both actions are the consequence of decreasing state support for public higher education; since 2008, state support has fallen by more than 18% per student. The cost of college has been restrained but someone still has to pay. According to the College Board, at four-year public universities, average annual in-state tuition in 2015 ranged from $4,890 to $15,160, with the national average at $9,410. It’s not an unreasonable charge. Consider this comparison: According to the National Assn. of Child Care Resource and Referral Agencies, the average annual cost of day care in the U.S. is $11,410. The tuition at public universities is about the same as a low-priced day-care center. Whenever a state legislature decreases its support for higher education it is deciding that students should pay more. These figures are also the published tuition amount, which is akin to the sticker price on a car. Few pay the full freight. The real price is the published tuition minus financial aid. Nearly two-thirds of all college students receive financial aid. Average financial aid in 2015 was $5,430, which would make the average net tuition at public universities $3,980 per year, an even more reasonable price for a bachelor’s degree. So why all the controversy? First, room and board is expensive and can double the cost of attending college. But whether you’re in college or not, you will have living expenses. There are choices; many communities have local universities and students can live at home. The high cost of living is outside a college’s control. What’s really at issue in the college-cost controversy isn’t the price but who should pay for it: students, taxpayers or donors. The protests over tuition increases have come about because of a major shift that is occurring in who pays. Whenever a state legislature decreases its support for higher education it is deciding that students should pay more. But not all students pay more. Most public universities have a “return to aid” policy that sets aside a percentage of tuition for financial aid for students who have college potential but can’t afford it. At UC, 33% of tuition dollars are used for aid. As state support has waned, universities including UC are redistributing tuition dollars from middle- and upper-income to low-income students. At UC, about 40% of undergraduates pay no tuition at all. Middle-income students are partially subsidized and most families with an annual income above $125,000 pay full tuition. A recent study shows the effects of this university-designed redistribution: As many as 78% of students who enrolled in the 1990s at major public universities have seen their status improve, moving from the bottom fifth of national income to the top three-fifths. Access to education does lead to low-income families finding a path out of poverty. Society, through significant cuts in public support, is decreasing its prioritization of higher education. Rather than every taxpayer bearing the cost of making public higher education widely available, wealthier families with college-age children are subsidizing less fortunate families. This scenario is neither equitable nor socially optimal. The benefits of access are shared by society as a whole; the costs should be shared as well. There is another problem with the way we are making higher education accessible. Tuition is not rising by a large enough amount to replace the significant decreases in state support. Faculty, program and infrastructure cuts are hurting the quality of education. Public higher education in the U.S is not too expensive, but the balance between cost, price and redistribution is tenuous. If legislatures — and voters — further lower their prioritization of higher education, the system itself will be at risk. Not only will fewer low-income students gain access to the advantages of a college education, the quality of public higher education in the U.S., which has long been recognized as the best such system in the world, will surely erode. 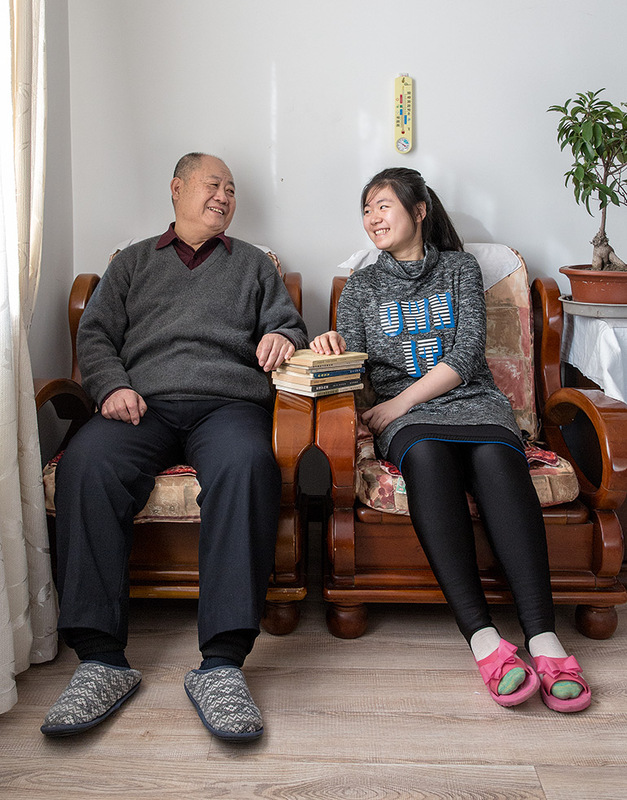 As the daughter of a senior colonel in China’s People’s Liberation Army, Ren Futong has lived all 17 years of her life in a high-walled military compound in northern Beijing. No foreigners are allowed inside the gates; the vast encampment, with its own bank, grocery store and laundromat, is patrolled by armed guards and goose-stepping soldiers. Growing up in this enclave, Ren – also known as Monica, the English name she has adopted – imbibed the lessons of conformity and obedience, loyalty and patriotism, in their purest form. At her school, independent thought that deviated from the reams of right answers the students needed to memorise for the next exam was suppressed. The purpose of it all, Monica told me, was “to make everybody the same”. For most of her childhood, Monica did as she was expected to. She gave up painting and calligraphy, and rose to the top of her class. Praised as a “study god”, she aced the national high-school entrance exam, but inside she was beginning to rebel. The agony and monotony of studying for that test made her dread the prospect of three more years cramming for thegaokao, the pressure-packed national exam whose result – a single number – is the sole criterion for admissions into Chinese universities. The Ren family was taking a considerable risk. If Monica, their only child, wanted to study abroad, she would have to abandon the gaokao track, the only route available to universities within China, to have time to prepare for a completely different set of standardised tests and a confounding university application process. If she changed her mind – or, worse, failed to make the transition – she could not resume her studies within the Chinese system. And if that happened, she would miss the chance of going to an elite university and, therefore, of getting a top job within the system. For the Rens, this was the point of no return. It is one of China’s curious contradictions that, even as the government tries to eradicate foreign influences from the country’s universities, the flood of Chinese students leaving for the West continues to rise. Over the past decade, the number of mainland Chinese students enrolled in American colleges and universities has nearly quintupled, from 62,523 in 2005 to 304,040 last year, according to the Institute of International Education. Many of these students are the sons and daughters of China’s rising elite, establishment families who can afford tuition fees of $60,000 a year for America’s top universities – and the tens of thousands of dollars needed to prepare for the transition. Even the daughter of Xi Jinping, China’s president and the man driving the campaign against foreign ideas, recently studied – under a pseudonym – at Harvard University. Among Western educators, the Chinese system is famous for producing an elite corps of high-school students who regularly finish at the top of global test rankings, far ahead of their American and British counterparts. Yet so many Chinese families are now opting out of this system that selling education to Chinese students has become a profitable business for the West. They now account for nearly a third of all foreign students in America, contributing $9.8 billion a year to the United States’ economy. In Britain, too, Chinese students top the international lists. And the outflow shows no sign of subsiding: according to a recent Hurun Report, an annual survey of China’s elite, 80% of the country’s wealthy families plan to send their children abroad for education. Not every Chinese student is driven, as Monica is, by the desire to escape the grind of thegaokao and get a more liberal education. For many Chinese families, sending a child to a Western university is a way of signalling status – yet “another luxury brand purchase,” as Jiang Xueqin, an educational consultant, puts it. 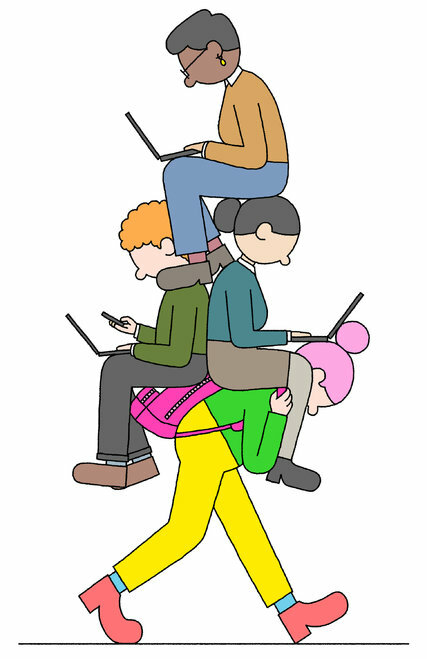 For students faring poorly in the gaokaosystem, moreover, foreign universities offer an escape valve, and a way to gain an edge in the increasingly competitive job and marriage market back home. And for wealthy families seeking a safe haven for their assets – by one estimate more than $1 trillion in capital left China in 2015 – a foreign education for a child can serve as a first step towards capital flight, foreign investment, even eventual emigration. The vast majority of Chinese applicants end up in large state universities, many in the American Midwest, where populations of more than 4,000 Chinese students (out of student bodies of more than 30,000) can segregate into miniature Chinatowns on campus. But name-brand universities have a cult-like allure. Every aspiring overseas student in China can rattle off the names of the top ten or twenty American universities. Chinese bookstores are lined with memoirs and how-to guides with titles such as “Stanford Silver Bullet” or “Our Dumb Little Boy Goes to Cambridge”. The original bible of this motivational genre, “Harvard Girl Liu Yiting”, describes the “scientifically proven methods” that a couple used to turn their daughter into an academic star. In one of the tests they devised, she held ice in her bare hands for long periods to toughen herself up. Competition for entrance into these schools is ferocious. Of the roughly 40,000 Chinese students applying to universities in the United States last year, around 200 were accepted into Ivy League schools. As a Beijing-based consultant puts it drily: “Harvard only accepts seven or eight Chinese students a year, and one of them is bound to be the offspring of a tycoon or a leader.” American applicants have it easy by comparison. The Massachusetts Institute of Technology, for example, accepted 9.7% of domestic applicants in 2015 – and a mere 3% of international applicants. The application process can seem bafflingly complex. On top of the battery of standardised exams – the SAT, ACT, and TOEFL (measuring English proficiency) – American universities require transcripts, teacher recommendations, personal statements and supplemental essays. These are unknown in China, where university entrance hinges on a single gaokaoscore. Trickiest of all, American colleges want students who shine through their extracurricular activities and unique life experiences – anything that will make them singular. Applying to British universities is simpler: they base admission largely on A-level scores. Although these exams require students to master a greater range of materials and intellectual techniques than the Chinese gaokao, they at least offer a single metric. Chinese students are products of an educational system that, for all of its high achievers, is built to suppress intellectual curiosity, creativity and individuality – the very qualities that American admissions officers value most. How do students construct a unique persona that appeals to American universities? And what kind of person do they think the admissions officers will find appealing? For some students, the process can be a painful journey of self-discovery. But for others, the sudden pressure to define and differentiate themselves can also drive them – and their parents – to do almost anything to succeed. Just days after the decision was final, Monica began plotting her future. First, she applied to transfer, in the 11th grade, from the gaokao track to the international wing of her elite public high school, Experimental High School of Beijing Normal University. Over the past few years, dozens of international wings have popped up in public schools across China, offering Western-style curricula and looser restrictions to wealthy students wanting to prepare for university abroad. It’s a profitable business. The nearly 400 students in Monica’s international wing each pay an annual tuition of roughly $15,000 per year – giving the public school a multi-million-dollar revenue stream. Monica’s tuition was waived because she was in the top 10% of her class. The scholarship came with the expectation that she would get into an elite American university, an achievement that the school could use as a recruiting tool for new students. School officials prize brand-name universities just as much as the families do, and they try to create the conditions for students to succeed. After taking “mid-term” exams in early September, Monica – now in 12th grade – was suddenly free of any class obligations. She could devote the entire fall semester to honing her college applications. This school-within-a-school phenomenon hints at China’s ambivalence toward the student exodus. The government seems torn between the elite’s desire to send its children to the West and the nationalistic pursuit of the “Chinese Dream”. Even as Xi’s daughter took seminars at Harvard, his government cracked down on university faculty and curricula “corrupted” by foreign influences – with the exception of a thickly bearded German philosopher. As part of this campaign, Beijing decreed last year that international wings in public high schools should be shut down, or at least moved away from their host schools. But the municipalities required to implement this order will struggle to deal with places like Beijing Normal’s international wing, which is packed with the children of important officials. Like many of central government’s commands, it will be enforced slowly and unevenly. Monica got her first taste of the frenzy – and the fraud – surrounding the push to study abroad when she started preparing for the SAT andTOEFL. In her jam-packed test-prep classes, she heard rumours about agents selling answers and buying high scores. But it hit home only in late 2014, when suspected cheating caused a months-long delay in the release of SATresults – including hers – across East Asia. A bigger scandal erupted in May 2015, when 15 “ghost testers”, all Chinese nationals, were indicted in America for an alleged conspiracy in which they used fake passports to take standardised tests on behalf of mainland students. Their Chinese clients received near-perfect scores without lifting a pencil. The indictments didn’t solve the problem: in January 2016, tip-offs about widespread cheating led to an SAT test being cancelled in several Asian test centres two days before it was due to take place. More than 40,000 mainland students now take the SATeach year. There are no SAT testing sites in China for mainland students, so Monica joined the hordes flooding into Singapore and Hong Kong on test weekends. One of the other students in Hong Kong with Monica, sitting in the hangar-sized hall with 10,000 other test-takers, was Lu Xuanqi, a shy, working-class girl from the north-eastern city of Harbin. Lu, who has adopted the name Christina for the application process, was poised to become the first member of her family ever to attend university. Her dream of studying abroad had been inspired, in part, by the collection of Western novels that her grandfather had hidden in the attic during the Cultural Revolution – and bequeathed to her when she was seven. Looking around at the sophisticated students from Shanghai and Beijing, Christina felt a bit intimidated. But her score was one of the best in the hall that day – 2,390, just points off a perfect mark. Unlike Monica, Christina remained in her high school’s gaokao track, making her leap to an American university even longer and more perilous. Her family couldn’t afford to place her in an international wing or send her to boarding school abroad. 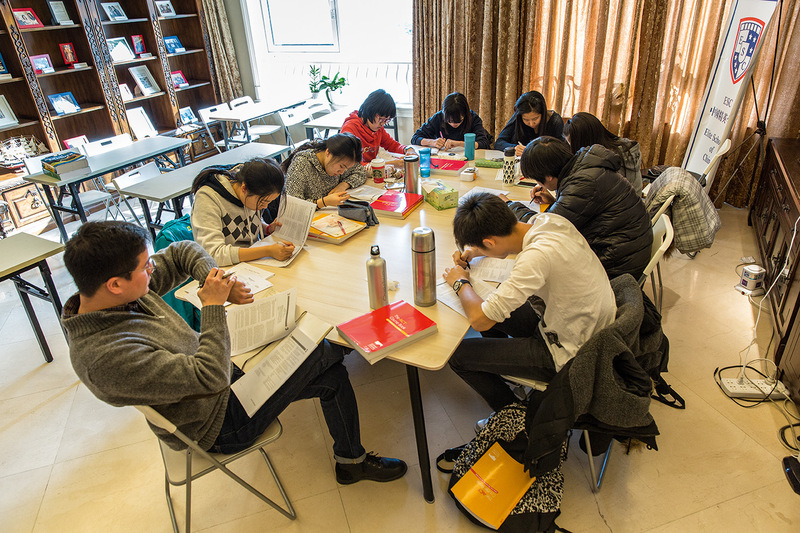 To prepare for the SAT andTOEFL exams, Christina worked double shifts, slogging through mountains of gaokao school work while taking test-prep classes late into the evening. (She fell asleep at night watching episodes of “Friends”. Her mother didn’t like it, but Christina, who has studied English since kindergarten, says the show was “my best study tool”.) The breaking point came last autumn, at the start of 12th grade, when Christina had to choose between doing her American college applications and cramming for the gaokao. Most gaokao programmes accommodate aspiring overseas students like Christina with a sleight-of-hand known as tuochan, a Mao-era word meaning “to be relieved of productive duty”. In this practice, students either drop out or, as in Christina’s case, are asked to leave school to focus on their American tests and applications. Most students tuochan in 12th grade, but the practice is spreading to earlier grades. Even some 6th-graders now ask for a leave of absence from classes to prepare for the earliest standardised test (the SSAT) in the autumn – what one consultant calls “tuochan season”. For Christina, this decision would be irreversible. Once a 12th- grader leaves the gaokaotrack, there’s no way back. From the moment in September when she and five classmates felt compelled to tuochan, their high-school careers were effectively over. Christina would not return to class again, and she would turn all of her attention to cracking the code of the American application process. So Monica and Christina, in their desire to get a liberal-arts education, spent their final year in high school being educated in little more than the art of getting into college in America. The competition to get into elite American universities has become so fierce that wealthy Chinese families prepare their children at ever younger ages. Shang Learning, which trains 9- to 15-year-olds, charges about $23,000 to guide students through the year of their applications to boarding schools. Most of the students also choose from a series of à la carte courses in topics such as “reading and writing” or “interview prep”, with each two-hour session costing nearly $400. That might seem like some expensive small talk, but Nini Suet, the effervescent founder of Shang Learning, says that a student’s poise and presentation during an admissions interview can make all the difference in getting accepted into a top boarding school – and, ultimately, into an elite university. According to admissions experts, Ivy League universities are taking a higher percentage of mainland Chinese students from elite boarding schools than from Chinese schools. “Let’s face it, it’s easier for admissions officers to trust Chinese applicants who have already thrived in a boarding-school environment,” says Suet. “Those students won’t have trouble adjusting to campus life, and their applications can be trusted.” Prep schools, in turn, feel more comfortable with Chinese students who have gone through junior boarding schools or even American primary schools, meaning that the pressure is on to head to America at an ever earlier age. One wealthy Shanghai family recently flew Suet to San Francisco to try to help their third-grade son get placed into a top primary school in Silicon Valley. Educational consulting in China is not only a booming industry – bringing in, by some estimates, more than half a billion dollars a year. In a highly competitive environment where families are often flying blind, admissions consultants exert an outsized influence over the application process. Many agents take money both from families seeking admission and from universities trying to recruit full-tuition-paying students. The agents, in turn, pay high schools to funnel students toward their services. American universities, too, have learned to mistrust applications coming from China. Their suspicions are often grounded in unpleasant experience, most commonly with Chinese students whose high TOEFL scores or eloquent personal essays are betrayed by an inability to form coherent sentences in English. Few universities have the resources to check up on each of their applicants’ claims – and indeed, with the amount of cash full-tuition-paying Chinese students are bringing in, some don’t have much incentive either. 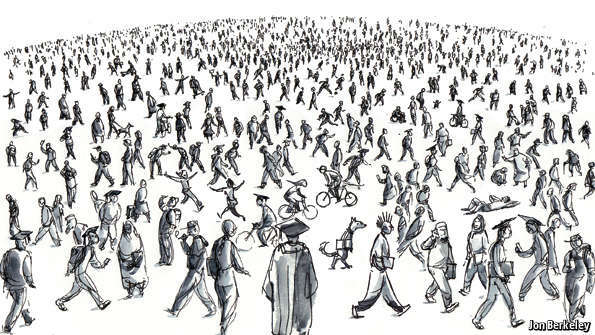 “American universities know the problem persists but it’s really hard to devise a cost-effective solution,” says Dennis Yang, author of a new book about the student exodus called “The Pursuit of the Chinese Dream in America”. The documentation from schools may not be trustworthy. A student who felt compelled totuochan told me that Chinese teachers “simply make up grades at random” for the classes they have skipped. Chinese teachers as a rule don’t write recommendations, so students must conjure them up themselves, treating it, according to a consultant, “as a creative writing sample in which you have to write in another person’s voice”. Mistrust of Chinese applications has spawned a small “verification” industry in China. No company can prove whether a perfect SAT score came from hard work or fraud – or whether a singular personal experience described in an essay is real or imagined. But several firms, such as the Beijing-based Vericant, now conduct video-taped interviews with applicants, in English, and post them online so that colleges and universities can evaluate whether their ability matches their test scores. Another measure of confidence comes from the emergence of high-end agencies that have a track record of sending reliable students to top universities. Christina remembers the first “disorientation” session with her ESC counsellor. “All my life my test scores and grades were my identity,” she says. “But then my counsellor said, ‘Okay, I know you have good grades. What else?’ And I had nothing to say. Nothing. When grades are taken away from us, we think we have nothing else to compare.” Gripped by doubt, Christina wondered why she had chosen this path. Her revered grandfather had always disapproved – he wanted her to go to the prestigious Peking University – and her parents had gone into debt to pay even the discounted ESC fee. Her college choices, moreover, would be constrained by her need for financial aid. Still, she stuck with it, leaving home at 5am every Wednesday to board a train for an 18-hour round-trip to the city of Shenyang, where she met her counsellor. Monica, by contrast, felt exhilarated by an early brainstorming session. She already knew what to expect. Several former schoolmates had gone through ESC (and on to the Ivy League), and a posse of current classmates, including her best friend, Brittney Cui, were also working with the consultancy. Still, she was surprised by how liberating it felt to reflect on her life and to think that in this world, at least, “there is no ‘formula’ to solve everything, it’s not like a test.” One idea she tossed out that day – a possible theme for an essay – was her own ambivalence about the compound where she grew up and the culture of conformity that shaped her. The summer before her final year in high school, Monica learned, was the most crucial time to do something noble or creative to impress American college admissions officers – to, as she says, “add sparkle to your résumé”. The obsession among top colleges with extra-curriculars has created a strange ritual in America. In the summer preceding application, students devise heart-warming experiences that will demonstrate how they embody the ideals of empathy, leadership or resilience: they volunteer at soup kitchens for homeless people, they start a sports league for disadvantaged youths, or – if their families are wealthy – they fly off to Haiti, Guatemala or Ghana to build houses for the poor. Even for Americans, who are used to the idea and who, one supposes, have an innate sense of what admissions officers are looking for, this is an odd process. But in China, it is surreal. Most students have had little chance to develop outside interests, so are trying to create rounded personalities from a standing start. Many have extremely wealthy families that are willing to spend whatever it takes to make them stand out. American admissions officers say they are now inundated with videos, photo albums and even hardback books from Chinese applicants trying to impress them with their exploits and expeditions. A Beijing school official told me about a boy from north-eastern China whose father flew him in a private plane to Tibet – for just a day – to make a video of him aiding poor minorities. Last year, one of my friends in Beijing tutored a girl whose full-time academic co-ordinator helped her score a trifecta: directing a feature film; volunteering in an earthquake-hit village; and orchestrating, via mobile phone, a “flash mob” for malaria awareness. It’s not just families, either. A couple of years ago, the international wing of Peking University High School organised a student trip to a poor village in Botswana. The expensive excursion was unashamedly designed to give the students something exotic and humane to insert into their college essays. At least the Botswana trip was a credential that school administrators could vouch for. Some of the outlandish experiences Chinese applicants claim to have had are so hard to verify that they become a source of amusement rather than assessment. The subjectivity of the American admissions process can make the wait between application and result seem excruciatingly long, especially for Chinese students used to the certainty of the gaokao system. Monica was still awaiting her results when she heard about two friends who had applied to the same Ivy League school. One got in, the other did not. The next day, her friend Brittney learned she was one of just a handful of mainland Chinese students to be accepted by Yale on early decision. Monica had to agonise for another three days before the University of Chicago told her she had been accepted. She will make a final decision later this spring, when she finds out the result of her “regular decision” applications to five other top-ranked schools, including Yale. The ballroom went dark, a spotlight shone in the corner, and the soaring strains of the “Star Wars” theme music played over the loudspeakers. One by one, the students stepped out into the noise and light and waved to the crowd. Rothschild introduced them in Mandarin, emphasising the names of the famous institutions to which they had been admitted: Yale, Duke, Pennsylvania. Christina smiled nervously into the light, her face flushed. Below her, clapping loudly, was the couple from Harbin who had sacrificed their savings for their daughter’s dream. Monica, elegant in a black skirt and red blouse, stepped up next and gave a modest wave. She couldn’t see through the blinding light but, in the front row, a man of military posture stood next to his cherry-cheeked wife, nodding with quiet pride. After years of conversations and arguments, the PLA colonel had given in to the reality that his strong-willed daughter would be moving out of the army compound – and heading to America. China’s Ministry of Education says some 459,800 students studied abroad last year, an increase of 11% from 2013. Roughly half of these opted for the United States, where according to the US-based Institute of International Education, Chinese nationals made up 31% of all international students in the 2013/2014 academic year – and with more and more Chinese parents able to afford the hefty price tag that Western pre-college courses invariably carry, the trend looks set to continue into 2015 and beyond. A group of 15 Chinese nationals in the U.S. and China schemed to have impostors take college entrance exams by using fake passports for identification in the hopes of obtaining student visas for entry to U.S. universities, federal prosecutors in Pittsburgh said Thursday. The U.S. Attorney’s office said the defendants, including two living in Pittsburgh, defrauded Educational Testing Services and the College Board, which administer standardized tests, between 2011 and 2015 by either taking the tests for others or paying others to take the tests for them. Prosecutors said some of the conspirators had counterfeit Chinese passports made in China and sent to the U.S., where they were used by the impostors to fool administrators into thinking they were other people before taking exams conducted in Pittsburgh and its suburbs. The conspirators received the benefit of the impostors’ test scores on the SAT and other exams for use at American colleges, one of which is identified in the indictment as Northeastern University in Boston. The 35-count indictment, handed up May 21 and unsealed Thursday, identifies some of the defendants as students who paid up to $6,000 for others in the U.S. to pretend to be them in taking tests, such as the SAT, at Barack Obama Academy, another testing site in Monroeville and elsewhere. Five of the defendants are identified as test-takers, including the lead defendant, Han Tong, 24, of Pittsburgh. Another local defendant was identified as Gong Zhang, 23, who prosecutors said received a fake passport at his address on North Craig Street in Oakland from an unidentified conspirator in China on April 1, 2013, and then used it in posing as someone else that day in taking the Test of English as a Foreign Language. Prosecutors would not say how many students were able to get into American schools through the scheme but said the investigation is continuing. “These students were not only cheating their way into the university, they were also cheating their way through our nation’s immigration system,” said John Kelleghan, agent in charge of Homeland Security Investigations in Philadelphia, one of the investigating agencies. It wasn’t clear how the scheme was discovered, but U.S. Attorney David Hickton said Educational Testing Services, based in New Jersey, and the New York-based College Board have cooperated with investigators. One example of how the scheme typically worked involved Han Tong and Siyuan Zhao, 24, of Massachusetts. On March 9, 2012, a conspirator accessed Mr. Zhao’s ETS online account and, using Han Tong’s credit card, bought a test to be taken in Mr. Zhao’s name at a Monroeville testing site using a fake passport. The impostor took the test, prosecutors said, and on March 19 Mr. Zhao accessed the score and had it sent electronically to Northeastern University. Mr. Zhao was arrested Thursday in Boston and was scheduled to appear in federal court there for a hearing in which prosecutors said they would seek his detention and have him brought to Pittsburgh for trial. The U.S. Attorney’s office said Mr. Tong and 10 others will be issued summonses to appear in U.S. District Court to face the charges. The names of three others, all in China, remained sealed. These are the other named defendants: Biyuan Li, 25, of Boston; Jia Song, 20, of Santa Ana, Calif.; Ning Wei, 24, of China; Songling Peng, 19, of Watertown, Wis.; Xi Fu, 26, of Portland, Ore.; Xiaojin Guo, 20, of China; Yudong Zhang, 21, of Blacksburg, Va.; Yue Zou, 20, of Blacksburg, Va.; and Yunlin Sun, 24, of Berlin, Pa., and Pittsburgh. Torsten Ove: tove@post-gazette.com or 412-263-1510. Yes, the starting salaries are higher in the health sector but how will they compete with law further down the road..? Which college graduates earn the most money right out of school? If you want to earn serious cash in your first job, you should study architecture or engineering. Georgetown University’s Center on Education and the Workforce analyzed Census Bureau data to determine which college majors earn the most money right after graduation. Architecture and engineering came out on top by a considerable distance – students in these fields tend to make $50,000 a year in their first job after college, more than any other group of majors. Right out of school, someone majoring in computers, statistics and mathematics can expect to earn an impressive $43,000 in their first working year. Health majors round off the top three with a starting salary of $41,000. Aside from the fact that this student seems to be rather bright, academically, I find it more heartening and impressive that he decided against the Ivy’s because of the almost ensured debt he will be taking on over the years. Yes, to graduate from an Ivy league school is prestigious but ultimately, it is the students that are left with a huge debt to start of their careers. Nelson showed that he is not only academically responsible. Hats off to him and good luck. Ronald Nelson, a Tennessee high school student who got into all eight Ivy league, will attend the public University of Alabama this fall. A Tennessee genius teen got into all eight Ivy League schools — but he’ll root for the Crimson Tide this fall. Memphis-area high school senior Ronald Nelson announced he’ll attend the University of Alabama, meaning he is rejecting offers from the eight Ivies plus a handful of other competitive, private schools. Nelson said a generous full-ride scholarship convinced him to enroll at the public school. He’ll use the money he’s saving on his undergrad degree on medical school, he told Business Insider. Nelson — who will graduate from Houston High School in Germantown, Tenn., on Tuesday with a 4.58 GPA — said he received financial aid packages from many schools. Still, he was unsure if he could manage the cost of a pricey private degree. His older sister is due to grade from college next spring, meaning he’d likely receive less financial aid after that since his parents would only be supporting one college kid. Nelson said he decided on Alabama for its financial aid package and its elite honors college. “(The private schools) told me that I would probably end up paying quite a bit more over the next three years,” he said. So the senior class president and award-wining saxophone player turned down the Ivy offers. He also rejected bids from Stanford, Johns Hopkins, New York University, Vanderbilt, and Washington University in St. Louis. While he was at first hesitant about turning down so many high-profile schools, Nelson said Alabama’s selective honors college helped persuade him the public university was the right choice. “It was kind of amazing being around so many like-minded students, which is why I think I’ll be able to have a similar situation (to an Ivy League school), considering the type of students they’re attracting,” he said. Nelson, who earned a 34 out of 36 on his ACT and a 2260 out of 2400 on the SAT, plans to attend medical school and become a doctor after he finishes undergrad. Nelson said he’s certain he’ll get into a top medical school so long as he works hard enough. Comparing colleges by economic value of their degrees – is the packaging getting stale..? We are so concerned with big name branding that we don’t see that smaller “products” recently have adopted to the ever changing times and are ready for a showdown. InBev vs a micro brewery. Over the years. tuition has increased and we have accepted every explanation for it. We have been agreeing with the pundits that a big name school is the best way to invest in our children’s future. This piece by Marketplace shows the other side of the coin — what value does an education bring with it. So, suddenly, we are seeing that “micro” ingredients are better and healthier for us and that the packaging is getting stale. Question: What do Cal Tech, Concord’s Community College in New Hampshire, MIT, Carleton College in Minnesota, Lee College in Texas, and Pueblo Community College in Colorado, all have in common? Answer: They are ranked in the top twenty schools in the country for “adding value” to a student’s college years. According to a new analysis by the Brookings Institution’s Metropolitan Policy Program, these and other top-ranked colleges and universities give students an economic boost in terms of long-term career success and earning power, compared to similar two- and four-year institutions. Brookings researchers crunched the numbers on thousands of schools that provide associate’s and bachelor’s degrees, comparing graduates’ mid-career salaries and rates of student-loan repayment, as well as schools’ financial aid and career-services offerings. A new college ranking looks at which schools contribute most to students’ long-term economic success. One clear takeaway from the voluminous economic-impact data compiled by Brookings is that any academic study in the STEM fields—science, technology, engineering, and math—is likely to deliver a good return on educational investment. Salaries, benefits, and job opportunities are significantly better in these fields than in professions favored by liberal arts graduates, such as teaching, publishing, social services and government. Rob Franek, publisher of The Princeton Review, welcomes the new data and rankings from Brookings. He says they offer a much-needed financial lens to help students and families decide where to go, how much to spend, and how much to borrow, for higher education. The Princeton Review’s popular college guide and online resources highlight many of the nation’s most prestigious, brand-name universities. But Franek says those aren’t the only places worth spending one’s tuition dollars. “You can’t say, just because of brand perception, that your tuition dollars are going to pay off. A community college might turn out to be the best value for a student paired with a bachelor’s degree in a couple of years,” says Franek. The federal government, meanwhile, is preparing its own higher-education value assessments to help consumers compare colleges’ relative costs and benefits. Some university administrators worry that the new rankings will result in their schools being stigmatized as a ‘worse buy’ for the typical student’s higher-education dollar, and that their access to federal financial-aid funding will be reduced. The more I read about the cost of tuition rising in the USA, the more I feel that the blame is being pushed around. Some argue it is due to rising cost of living. Others argue it is because teacher/professor salaries are have gone up. Cuts in federal and state funding and more students going to college are other reasons. Better education, better courses, better technology, better everything round up the list. I venture to argue that the increasing cost of tuition has to do with all of the above plus some, such as rent costs, real estate commitments and projects, and other issues, none of which have to do with the actual costs of teaching students and preparing them for the future. The gist of the matter is, if tuition costs continue to rise, thereby making it nearly impossible for students to get an education without starting their professional life highly in debt, merely arguing will not suffice and ignoring the fact that tuition should be affordable or free, will set the course for generations to come. It is time to put money into highly effective future projects – our children. More and more money is being spent on higher education. Too little is known about whether it is worth it. The article compares Europe v USA. There are pros and cons, yet, I feel that we are moving towards ever increasing costs in education (USA) with the pressure being on students to pick the school they think will get them the best job and rising tuition (Europe) with no real explanation or prove, that paying for uni will get students a better job. “AFTER God had carried us safe to New England, and we had builded our houses, provided necessaries for our livelihood, reared convenient places for God’s worship and settled Civil Government, one of the next things we longed for and looked for was to advance learning and perpetuate it to posterity.” So ran the first university fundraising brochure, sent from Harvard College to England in 1643 to drum up cash. America’s early and lasting enthusiasm for higher education has given it the biggest and best-funded system in the world. Hardly surprising, then, that other countries are emulating its model as they send ever more of their school-leavers to get a university education. But, as our special report argues, just as America’s system is spreading, there are growing concerns about whether it is really worth the vast sums spent on it. The modern research university, a marriage of the Oxbridge college and the German research institute, was invented in America, and has become the gold standard for the world. Mass higher education started in America in the 19th century, spread to Europe and East Asia in the 20th and is now happening pretty much everywhere except sub-Saharan Africa. The global tertiary-enrolment ratio—the share of the student-age population at university—went up from 14% to 32% in the two decades to 2012; in that time, the number of countries with a ratio of more than half rose from five to 54. University enrolment is growing faster even than demand for that ultimate consumer good, the car. The hunger for degrees is understandable: these days they are a requirement for a decent job and an entry ticket to the middle class. There are, broadly, two ways of satisfying this huge demand. One is the continental European approach of state funding and provision, in which most institutions have equal resources and status. The second is the more market-based American model, of mixed private-public funding and provision, with brilliant, well-funded institutions at the top and poorer ones at the bottom. The world is moving in the American direction. More universities in more countries are charging students tuition fees. And as politicians realise that the “knowledge economy” requires top-flight research, public resources are being focused on a few privileged institutions and the competition to create world-class universities is intensifying. In some ways, that is excellent. The best universities are responsible for many of the discoveries that have made the world a safer, richer and more interesting place. But costs are rising. OECD countries spend 1.6% of GDP on higher education, compared with 1.3% in 2000. If the American model continues to spread, that share will rise further. America spends 2.7% of its GDP on higher education. If America were getting its money’s worth from higher education, that would be fine. On the research side, it probably is. In 2014, 19 of the 20 universities in the world that produced the most highly cited research papers were American. But on the educational side, the picture is less clear. American graduates score poorly in international numeracy and literacy rankings, and are slipping. In a recent study of academic achievement, 45% of American students made no gains in their first two years of university. Meanwhile, tuition fees have nearly doubled, in real terms, in 20 years. Student debt, at nearly $1.2 trillion, has surpassed credit-card debt and car loans. None of this means that going to university is a bad investment for a student. A bachelor’s degree in America still yields, on average, a 15% return. But it is less clear whether the growing investment in tertiary education makes sense for society as a whole. If graduates earn more than non-graduates because their studies have made them more productive, then university education will boost economic growth and society should want more of it. Yet poor student scores suggest otherwise. So, too, does the testimony of employers. A recent study of recruitment by professional-services firms found that they took graduates from the most prestigious universities not because of what the candidates might have learned but because of those institutions’ tough selection procedures. In short, students could be paying vast sums merely to go through a very elaborate sorting mechanism. If America’s universities are indeed poor value for money, why might that be? The main reason is that the market for higher education, like that for health care, does not work well. The government rewards universities for research, so that is what professors concentrate on. Students are looking for a degree from an institution that will impress employers; employers are interested primarily in the selectivity of the institution a candidate has attended. Since the value of a degree from a selective institution depends on its scarcity, good universities have little incentive to produce more graduates. And, in the absence of a clear measure of educational output, price becomes a proxy for quality. By charging more, good universities gain both revenue and prestige. More information would make the higher-education market work better. Common tests, which students would sit alongside their final exams, could provide a comparable measure of universities’ educational performance. Students would have a better idea of what was taught well where, and employers of how much job candidates had learned. Resources would flow towards universities that were providing value for money and away from those that were not. Institutions would have an incentive to improve teaching and use technology to cut costs. Online courses, which have so far failed to realise their promise of revolutionising higher education, would begin to make a bigger impact. The government would have a better idea of whether society should be investing more or less in higher education. Sceptics argue that university education is too complex to be measured in this way. Certainly, testing 22-year-olds is harder than testing 12-year-olds. Yet many disciplines contain a core of material that all graduates in that subject should know. More generally, universities should be able to show that they have taught their students to think critically. Some governments and institutions are trying to shed light on educational outcomes. A few American state-university systems already administer a common test to graduates. Testing is spreading in Latin America. Most important, the OECD, whose PISA assessments of secondary education gave governments a jolt, is also having a go. It wants to test subject-knowledge and reasoning ability, starting with economics and engineering, and marking institutions as well as countries. Asian governments are keen, partly because they believe that a measure of the quality of their universities will help them in the market for international students; rich countries, which have more to lose and less to gain, are not. Without funding and participation from them, the effort will remain grounded. Governments need to get behind these efforts. America’s market-based system of well-funded, highly differentiated universities can be of huge benefit to society if students learn the right stuff. If not, a great deal of money will be wasted. As is the case every time this year around “acceptance letter month,” everyone has an opinion on where to go to college. Or where not to go. Or if to go at all. All I can say is, no one really knows the reasons why some wealthy kids don’t get into HYP (harvard, yale, princeton) or why “poor” kids do not get in either. Is it based on race, grade, gender, wealth, or connections? In my opinion, there is a school for EVERYONE, but it takes time, desire, and understanding to find it. It may not be in the U.S. but rather in Europe, Asia, Canada, or Down Under. Although I do appreciate most opinions voiced by the experts, in the end, we are far from understanding education as it is now, and even further from where it is going. My post last week on a new book by New York Times columnist Frank Bruni, “Where You Go Is Not Who You’ll Be,” generated hundreds of comments here and on Facebook. Many people agreed with Bruni, telling their own stories of attending less-selective colleges and turning out just fine. But lots of others mentioned the very real recruiting practices of a handful of blue-chip companies, especially on Wall Street and among consulting companies, that only look at graduates of elite schools.Bruni’s book largely focuses on students who made choices between selective colleges and slightly less selective colleges or brand-name public flagship campuses. The difference between going to Penn State, for example, instead of Carnegie Mellon, or Indiana University instead of the University of Michigan. Those are the choices most high-school seniors are making at this time of year. They applied to a bunch of colleges that are probably similar in many ways. They are all small, private liberal-arts colleges; or they are all large, public universities; or maybe all close to home or in a specific region. Rarely do students apply to both Yale University and Radford University, for example. But in some cases, where you go to college does matter. When the primary measure of a degree’s value is actually graduating, then getting the right match between a prospective student and a school is what matters most. In making that match, colleges are the more important player. It’s called “undermatching.” That’s what happens when smart students, usually low-income, could succeed at an elite college but never apply to one or go to one. The idea has received plenty of attention from researchers in recent years, and even the White House, where officials see it as way to boost the college graduation rates of low-income students. (Some also question the idea). One of the leading proponents of this theory is William Bowen, an economist and former president of Princeton. In a 2009 book called “Crossing the Finish Line,” Bowen and his coauthors found that the harder-to-get-into colleges that they studied had higher graduation rates for all types of students, even those the admissions office might have worried about admitting in the first place. There are all sorts of reasons why students pick less-selective colleges. They might want to stay close to home or go to the least-expensive college (this is particularly true of poorer students). Or maybe they are worried they won’t be able to keep up with their classmates. Bowen and the other researchers studied a rich set of subjects: 60,000 seniors who attended more than 300 high schools in North Carolina in 1999. Not only did they have access to wide-ranging demographic data on those students, but they were able to link them to their college experiences. Of the 60,000, they determined about 6,200 students were eligible, based on grade-point averages and SAT scores, to attend the best college they could have. They found that four in 10 of those students chose not to attend one of those schools, either because they didn’t apply or didn’t enroll. What is interesting about their findings is exactly who decided not to go to the best college they could have: Just 27 percent of students from the wealthiest households undermatched, but 59 percent of those from the poorest households did. Among those students whose parents did not go to college, 64 percent of them went to the less-selective college. These are students who could have been admitted to a school like Ohio State (where about 78 percent of students graduate in six years), but instead they went to schools like Youngstown State (37 percent) or the University of Akron (35 percent). Bowen told me that there might be a good reason for why students pick against their own self interests. The criteria for picking a college often conflict with one another. In his mind, there needs to be a good reason for deliberately choosing not to attend the best college you can get into. Too often the reason students make these questionable choices is a “combination of inertia, lack of information, lack of forward planning for college, and lack of encouragement.” Sometimes students rebuff the best college because they are getting a free ride somewhere else. The bottom line is this: You should be sure to check out the graduation rates of a college you’re considering, and take particular note of the graduation rates for students like you (for example, they differ between men and women, and even by major). If the real value of college is in actually graduating, then Bowen’s research shows that it really does matter where you go to school.